Located in the quiet neighborhood of Jensen’s bay, your home is situated overlooking the bay with spectacular vistas. The view and location are breathtaking. Absolute Heaven, Take me Back! The hot tub and fire pit are icing on the cake. 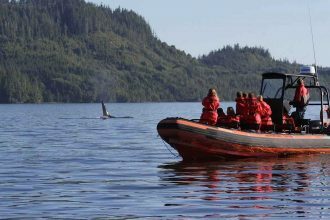 Whale watching from shore can be a challenge, unless you have very good binoculars and tremendous patience and/or a hefty dose of good fortune. 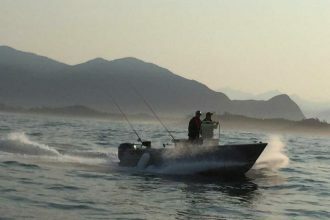 Many great fishing tour companies in town that will cater to your needs. 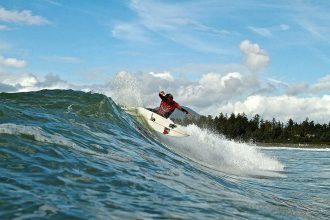 The many beaches of the west coast provide some varied and unique surfing experiences. Just a short distance away are Chesterman beach, and Cox bay. Chesterman Beach – South. 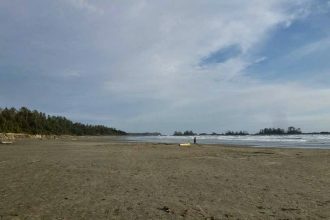 This Sandy Tofino Beach is our closest beach! It is approx 2.5Km long. 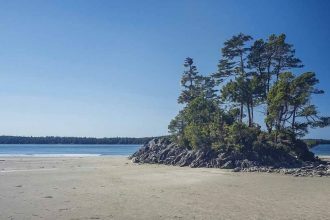 The popular Tofino beach is close to town and has Free Parking. Chesterman Beach North. 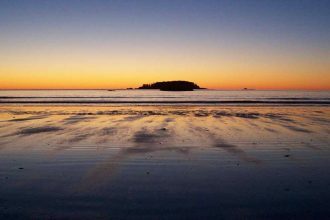 This popular Tofino beach is close to town and has Free Parking. 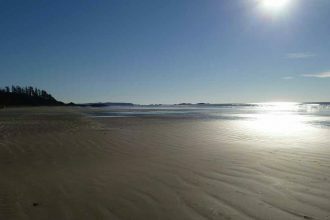 Cox Bay – Very close to Tofino Panorama, Free Parking. 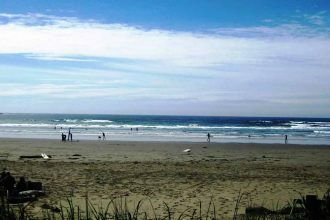 Cox Bay is a popular Surf spot, it has a consistent Beach break. Wickaninnish Beach is at the South end of Long Beach which is located in the Pacific Rim National Park. Beach access, trails and view points can be enjoyed. Tonquin Beach. 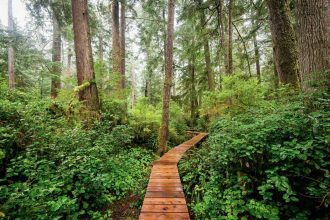 Just an 8 minute walk from down-town Tofino. A short hike along the Boardwalk Trail with a few Stairs takes You to this Beautiful Beach. 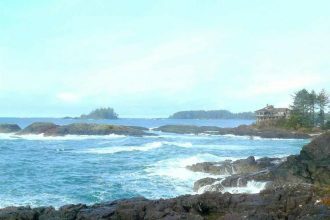 Long Beach is Located in Pacific Rim National Park and is a Popular Surf Beach. Long Beach and Schooner Cove span 16 km. Tofino Food and Wine Festival June 7-9 2019 Event Time: 1 PM / Event Location: Tofino Botanical Gardens.